Outdoor Pole Banners – Indy Imaging Inc. 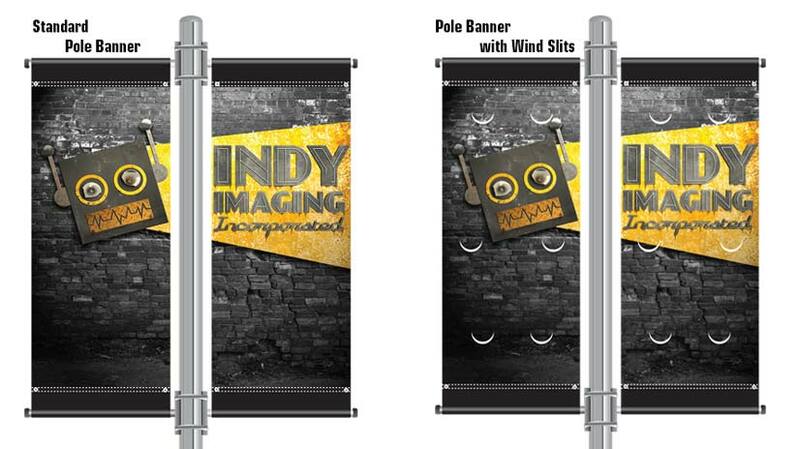 Outdoor Pole Banners are a product staple at Indy Imaging. 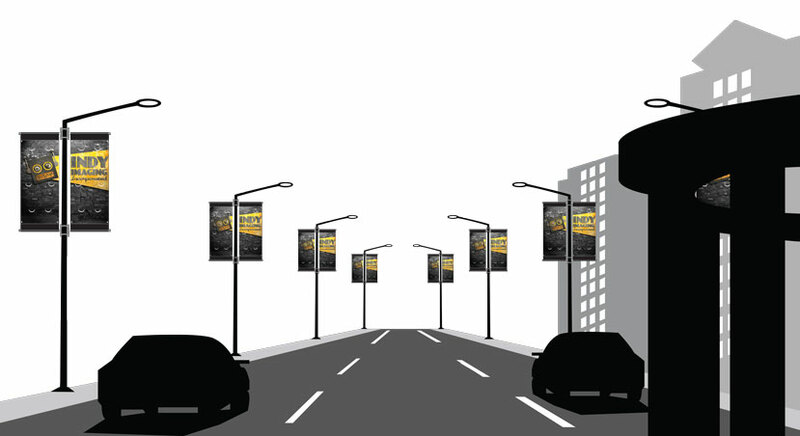 Outdoor Pole Banners can meet your customers’ needs for many types of advertising. Indy Imaging can produce large or small quantities to meet your need. Outdoor Pole Banners are manufactured on blockout vinyl with graphics on both sides. How is your customer going to use Outdoor Pole Banners? The art should be setup so that text and graphic do not get into the pocket? Are wind slits needed? Are there any city specifications? If ordering a large quantity, will you want a proof banner for approval? Does your customer need the Outdoor Pole Banner bracket kits?